Today is the first day of Spring, although I haven't heard from anyone who says it feels like it. It's only 29F here right now, but a high of 58F so it may sort of feel like Spring if you stand in the sun this afternoon and hope there isn't a chilly wind. On the up side, my dogs are loving the current weather and enjoy lounging on the deck outside. I'm thinking that these deep dish hot fudge brownie sundaes will make me feel better though. These sundaes are perfect for the colder weather to warm me up because I'm all about comfort food. 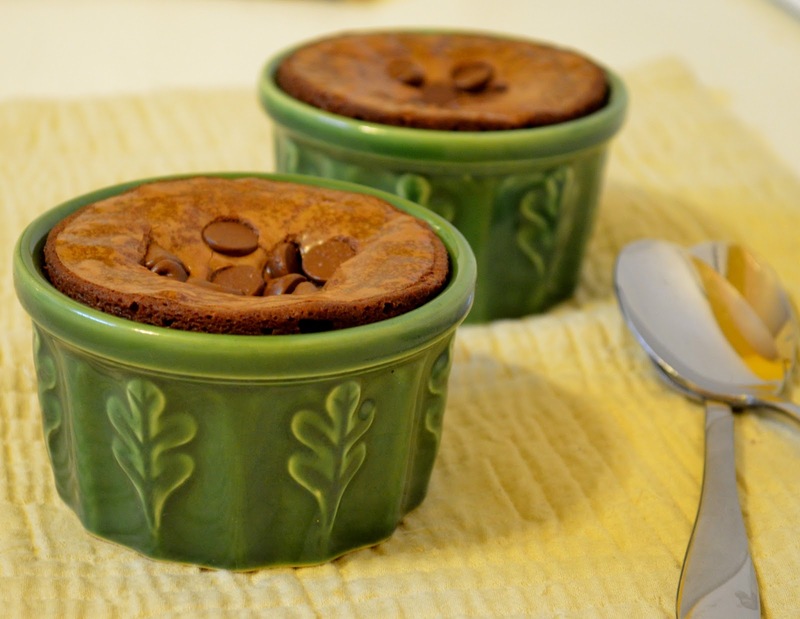 These are similar to molten chocolate cakes but are a little different in texture and flavor. They still have the molten inside though, just like hot fudge sauce, which is definitely my favorite part. I have a thing for not quite all the way baked chocolate desserts I suppose. These are pretty quick to prepare too with minimal active time, then they bake for 15-20 minutes, and then sit for 15 minutes. After the short amount of waiting then you get to eat them! Notice I said them...this recipe makes two (and only two thank goodness). I actually wouldn't recommend eating both of them because that's a lot of chocolate, but hey, if you want to then go for it. I baked mine for 15 minutes, so you could bake them a little longer if you want them to be less "molteny" (technical term :) ). As you all know, developing recipes myself is my absolute favorite thing to do. Sometimes though I also take recipes I find and change them to customize them into what I want. In this case, I saw this recipe and made it exactly as it was written. So, I'm sharing the link to the website of the blogger who came up with this recipe because I want them to get credit because all I did was make it, eat it, and love it! If you would like to try some delicious deep dish hot fudge brownie sundaes (and you should, very very soon!) 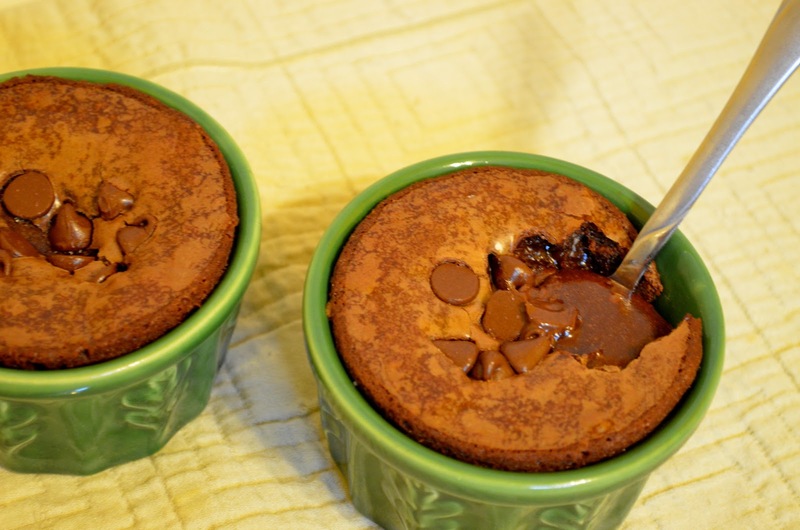 then click on over to Carla at Chocolate Moosey for the recipe!